Dallas Charter Bus Rental Services Transportation has every Charter Bus and Shuttle Bus sizes available. 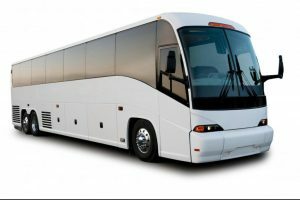 Ranging from 25 passengers up to massive 56 passenger Charter Buses, charter all guests for long distance travel, back and forth between event locations or just tour around town. These large vehicles have have enough luggage space to accommodate most guests and events. Check out all the available service options for your next event. Check our suggestions for Wedding venues in Dallas Tx, Prom venues in Dalas Tx, Bachelorette Party Venues in Dallas Tx, night out in Dallas Tx, Dine In Dallas Tx. Having a large celebration or Milestone Anniversary? Charter Buses are cheaper than you think, so Charter all guests for your Anniversary Party, dinner or event! We understand that people work on a budget, so why not spend your money on the party fun and venue and book a Charter Bus for your affordable simple Bachelor Party Transportation. Still have a blast with all the ladies and book a Charter Bus with individual seating for your next Bachelorette Party. Great choice for Dallas Brewery Tours. Charter Buses seat all group sizes comfortably and are a great affordable option so you can spend more money at the Brewery. No need to take multiple vehicles. Book a Charter Bus and travel together to your next Concert in Dallas. A Designated driver comes complimentary with any Charter Bus Rental Service. Minimize the long line of cars and parking for your next Funeral, Wake or Memorial Service with any of our Charter Buses. Priced less than some Limo Buses, A Charter Bus is a great alternative Homecoming Dance option for safe and reliable transportation. Get the group together and have your own individual seating at a reasonable price. Reserve a Charter Bus for your next High School Prom. Requested the most, Charter Buses fit up to 56 passengers and enough luggage space for everything you would need for the next Tailgate party. Charter Buses were made for Dallas City Tours. Looking for affordable transportation for your Dallas Wine Tasting Tours? Check out all our Charter Bus options. Charter Buses are great for shuttling Wedding guests between ceremony, reception and all wedding venue locations.